The open-air super-club kicks off the season with its most iconic party ANTS. 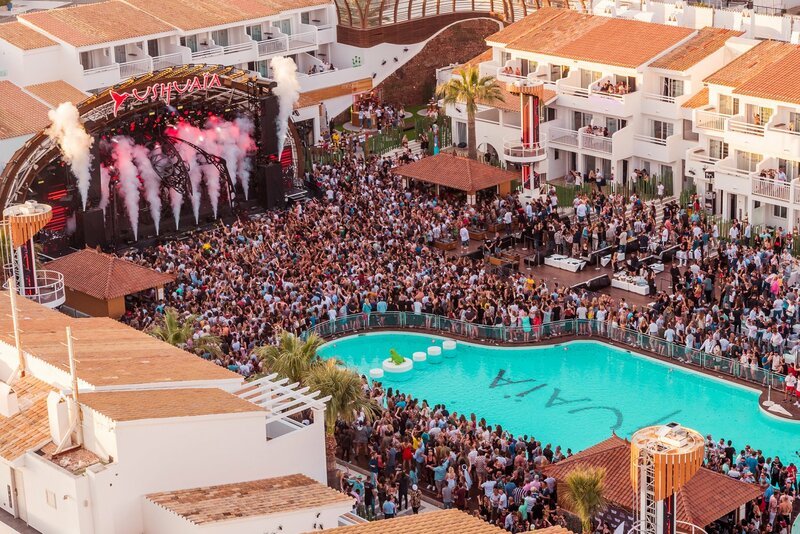 Party central Ushuaïa has become one of the trademarks of Ibiza in the past few years. So it was no surprise to see throngs of music heads heading down to the opening of the open-air venue. The party of choice was the most iconic and underground of its brands: ANTS. This party is primarily about the music, and the colony of ants were there to dance. Of course, as with all Ushuaïa parties, the production was massive with laser beams slicing the air in every hue and regular explosions of smoke and confetti. Within it all, though, the music and ravers remained the real protagonists. The party kicked off at 14:00 with emerging talent Dublin on the decks and continued with the creative sound of UNER. DJ Nic Fanciulli and his highly energetic house tunes took on the final part of the warm-up. By this point, the atmosphere was electric and the crowd in a frenzy. The legendary Steve Lawler then opened the main stage, followed by the ANTS master himself Andrea Oliva with his underground tech-house. The last two sets of the day were handled by techno superstars Paco Osuna and Apollonia for a great grand finale. Check out the pictures of the colony raving and, as always, keep on dANTSing! Missed it? No worries, the colony of ANTS is back for Part II of the Ushuaïa opening party next week on Saturday 26 May. This time, it dives even deeper underground with techno masters Richie Hawtin, Adam Beyer and Maya Jane Coles, as well as Andrea Oliva, Hito and Francisco Allendes. If that still is not enough, next week after midnight you can cross the street over to the opening party of Hï Ibiza doubling up with Black Coffee.